Who doesn’t love to sink their teeth into a rich and gooey fudge brownie? It’s a favorite among most fans of chocolate. It may be tempting to pick up a box of brownie mix when you pass the baking section at the grocery store. But these pre-packaged mixes may contain artificial colors and flavors, as well as other harmful ingredients. By making them from scratch, you control what you eat. The Paleo diet is all about healthy, all-natural nutrients for your body to aide in both physical and mental health. 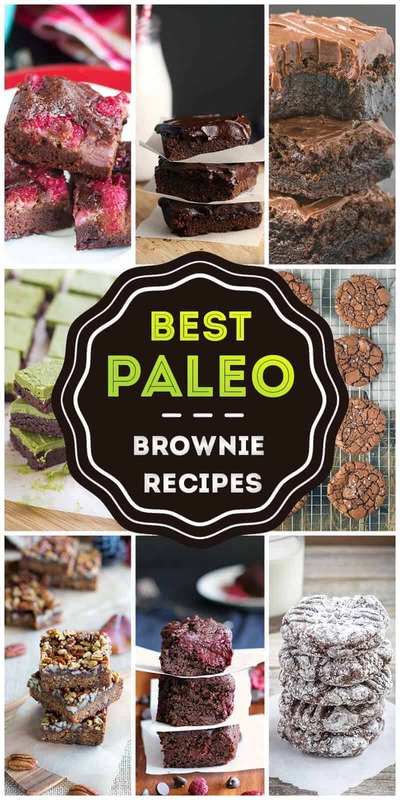 With these 50 paleo brownie recipes, you no longer have to cheat on your diet to enjoy the rich, decadent flavor of everyone’s favorite dessert. It doesn’t even have to be considered an indulgence. 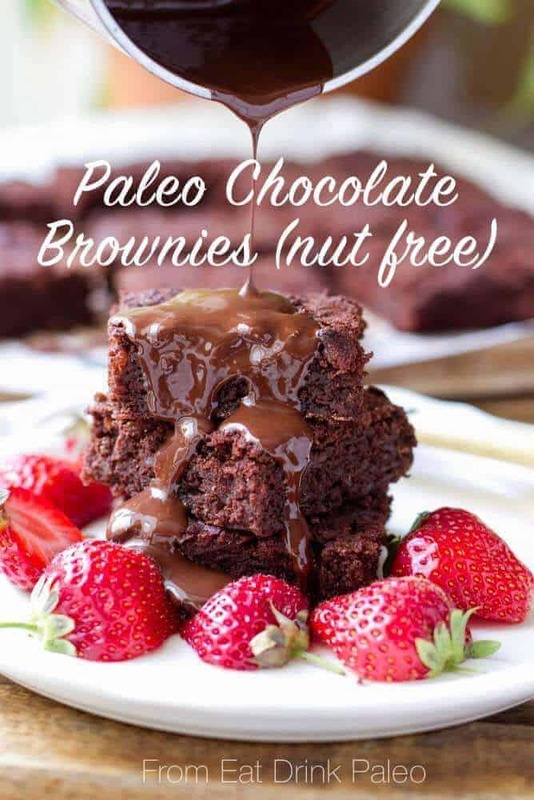 Each recipe is made with the best paleo foods and packed with vitamins and minerals to aide in various health factors, such as heart and bone health, or even weight loss–Yes, you can enjoy a brownie or two and still lose weight. If you’re not much of a baker, don’t worry. These recipes are easy to make, and some don’t even require baking. 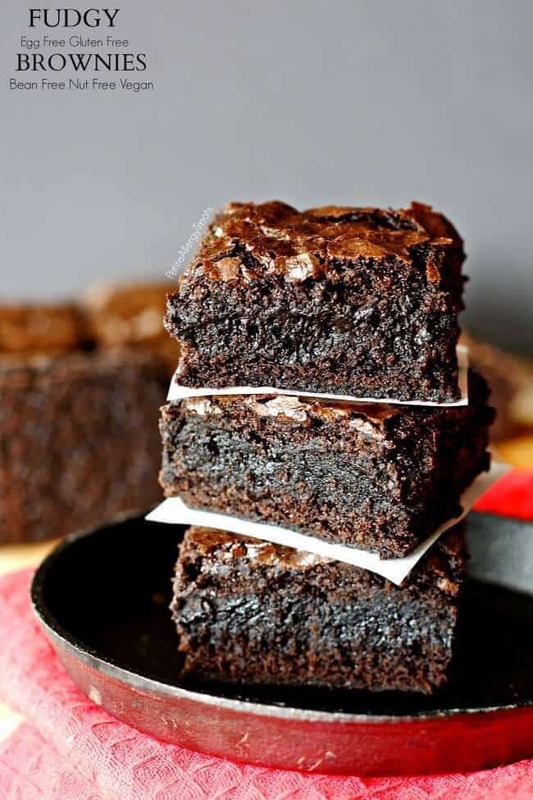 And, unlike boxed brownies, there are few ingredients, so you know exactly what you’re getting and can feel good about sneaking a second helping. If you’re looking for that perfect dessert to top off your date night, look no further. 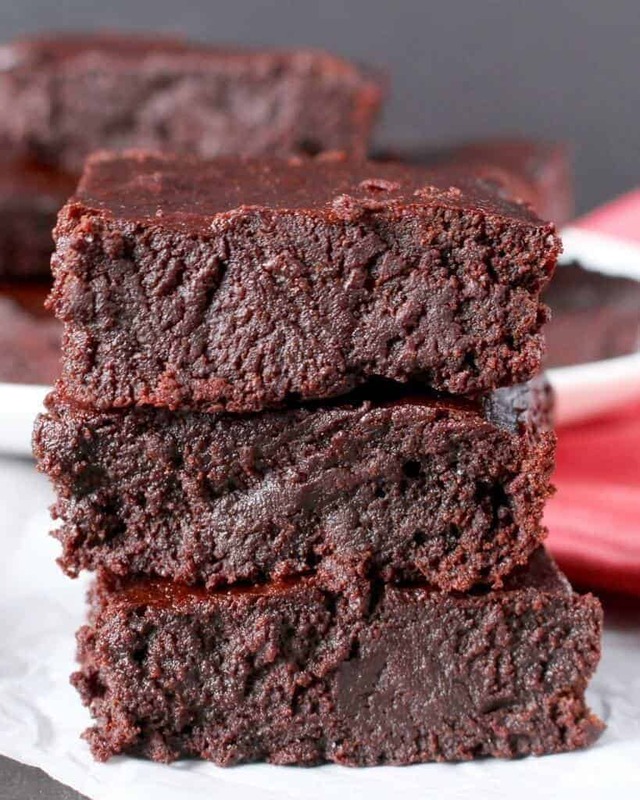 This simple, yet delicious, paleo brownie recipe is just what you need to end a romantic evening with your significant other. Your date won’t even notice that they’re gluten-free and refined sugar-free. 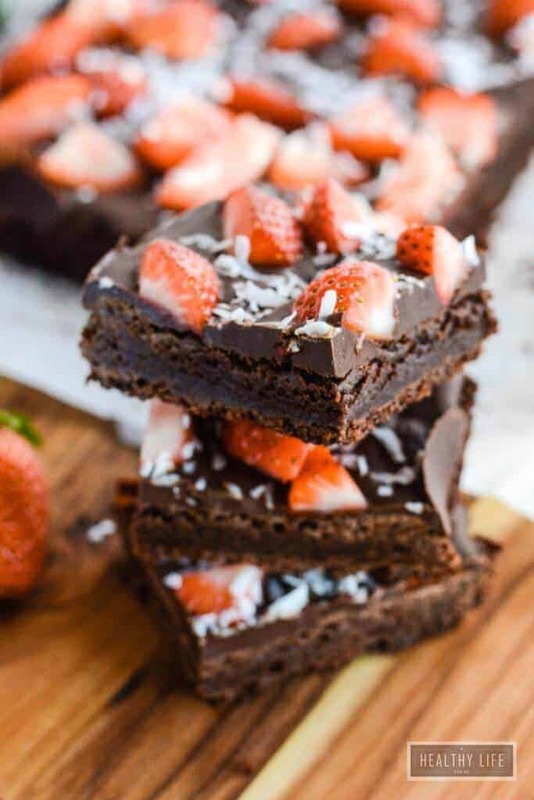 These fudgy delights are made with almond flour, sweetened with coconut sugar, and the chocolate strawberry topping is just the ticket to get you and your date’s mouthwatering. 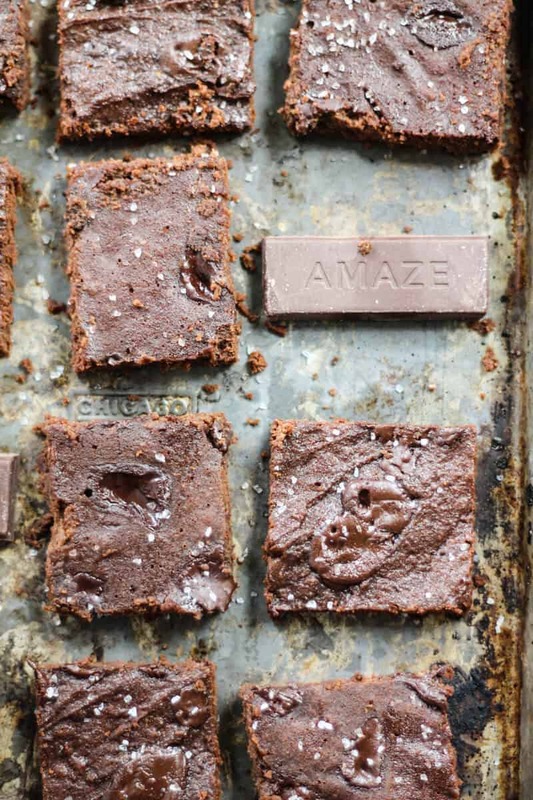 Not in the mood for baking but still want to devour a sticky, gooey brownie? Well, one won’t be enough with this effortless recipe for vegan, raw, soy-free, and gluten-free chocolate paleo brownies. They only take ten minutes to prepare and can be ready to enjoy by the time you’re ready for dessert. Since they freeze well, you can even make a few batches to have on hand for later. These treats are each 140 calories, and with no refined sugars, completely gluten-free. Avocados are a staple in any paleo diet, but Avocados in dessert? Yes, it’s a thing, and a yummy one at that. Avocados can regulate blood sugar and control diabetes, so no need to worry about over-indulging. These fruits are Mother Nature’s butter and a healthy alternative for sweets. Their mellow taste and creamy, thick consistency make for a subtle addition or adjustment to any chocolate delight. This vegetarian-friendly paleo brownie is gluten-free, guilt-free, and easy to make. Looking for a paleo brownie that tastes just like a regular one? These thick, fudgy chocolate goodies will surely hit the spot. They are as easy to make as those processed boxed brownies, and they only take a few minutes to prepare before they’re ready for the oven. These treats are sweetened with honey and have an optional hint of espresso for that café essence. Bonus, if you use the suggested Fair Trade ingredients, you’ll be helping the people who actually grow and make these products, so you can feel like you’ve earned this delectable dessert. Hazelnut is the best thing to happen to chocolate since peanut butter got involved, and this mouthwatering goodness won’t disappoint. Originally meant to be a deep-dish chocolate chip cookie, this happy accident turned out to be so good that one just isn’t enough. 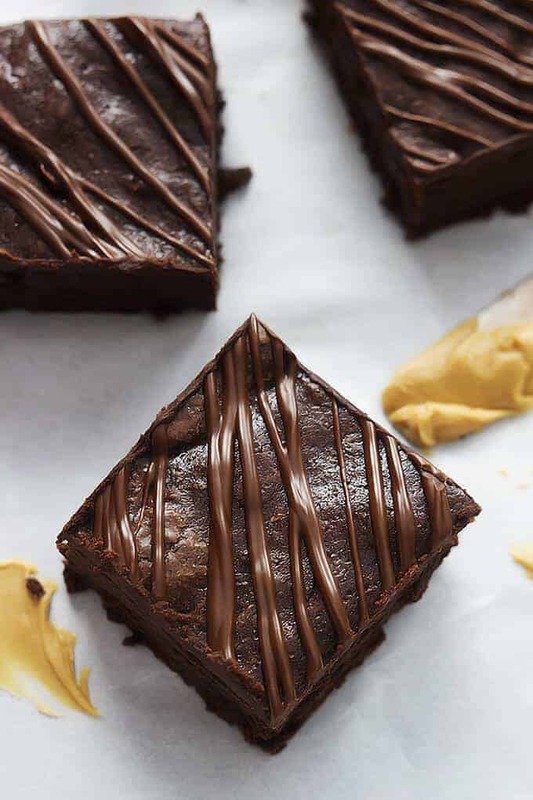 Say no to that artificially flavored Nutella, and feel good about these healthy chocolate hazelnut brownies made with wholesome, nutrient-packed, paleo foods. Not much of a baker, but still want a healthy, homemade treat? 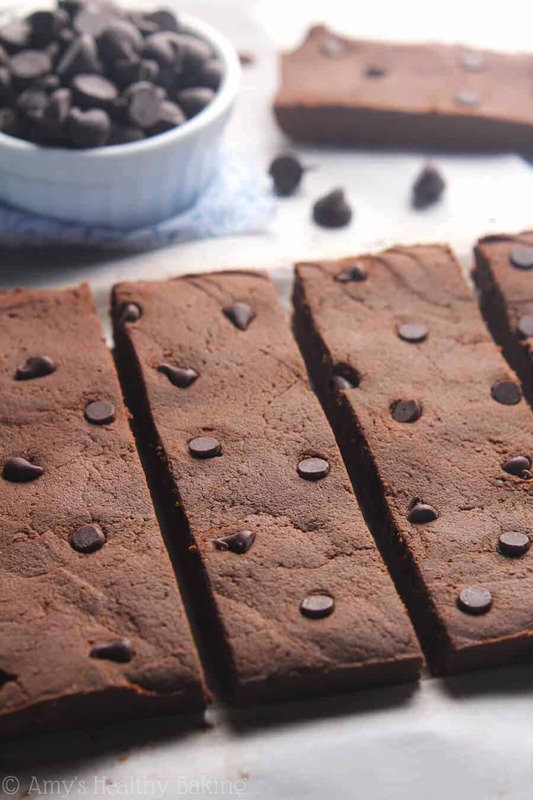 This dairy-free, gluten-free, and grain-free paleo brownie recipe is super easy to make. Simply throw everything in a blender, pour into a pan, and impatiently wait for them to finish baking. Naturally sweetened with bananas and honey; you won’t have to worry about over-indulging. Good luck trying. These are some seriously rich, dark chocolate brownies that may very well put you in a cocoa coma. Want a succulent dessert that also acts as a superfood? Why not try an Aloha chocolate brownie? Aloha chocolate is made with organic fruits and vegetables; they’re naturally sweetened,dairy-free, and paleo diet friendly. 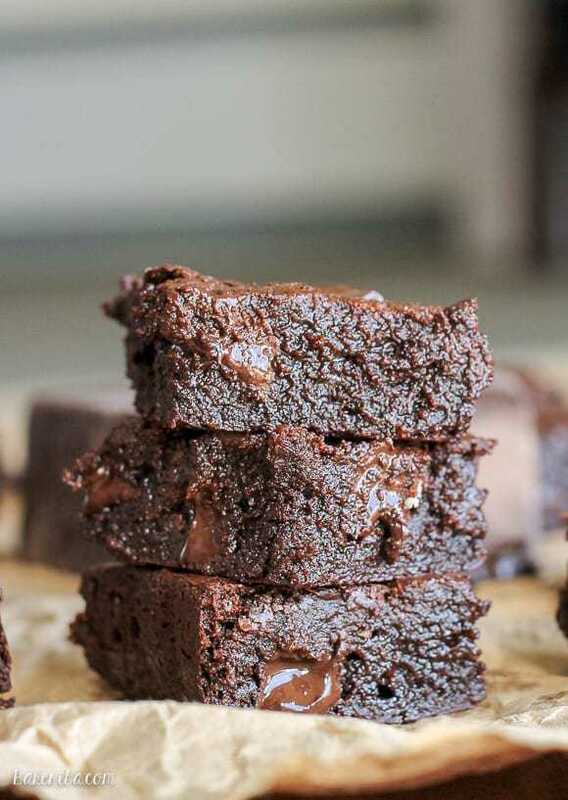 This brownie recipe also uses organic and paleo-friendly ingredients, so you’re not defiling what Aloha has to give or feeling lousy for indulging in a sweet treat or two. Better hurry though; these nutrient-rich super chocolate bars tend to sell out quick. 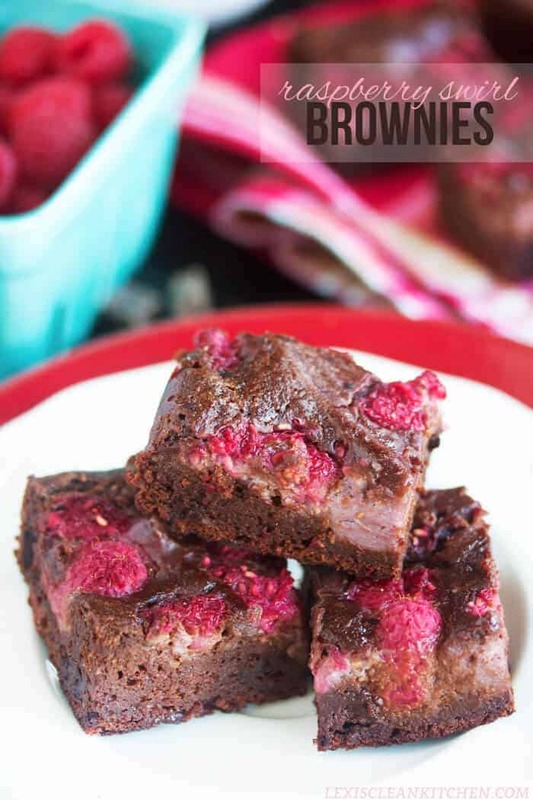 Chocolate and raspberries make quite the decadent pair, and these paleo brownies are proof of that. Bite into warm dark chocolate chunks and fresh sweet and tangy raspberries with a raspberry swirl. Your mouth will water as you reach for your 2nd, 3rd, and maybe even 4th helping. No judgment here. While one may satisfy that sweet tooth, you won’t be able to help indulging in more. This is an interesting combination of ingredients. Chocolate mixed with sweet potatoes and ginger? Don’t be afraid, you’ll love this paleo recipe. 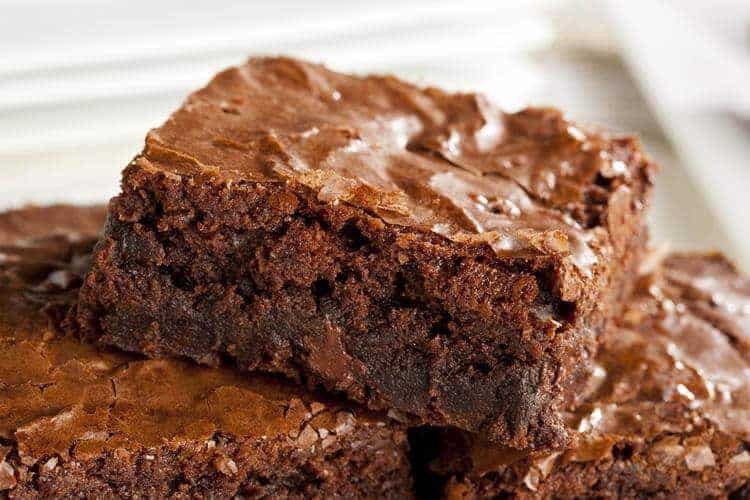 These brownies come out chewy and moist and are even more decedent after freezing. They also come with the added benefits that sweet potatoes and ginger provide, like anti-aging properties, cancer fighting effects, and anti-inflammatory effects. Amaze friends and family with this unusual fall inspired recipe, but don’t expect to be able to bring any leftovers home, they’ll be the first to go. Here’s another sweet potato brownie that won’t disappoint. If you want to avoid any nuts, dairy, gluten, and grains, but add some vitamin C, vitamin B6, vitamin D, and iron, this is the recipe for you. 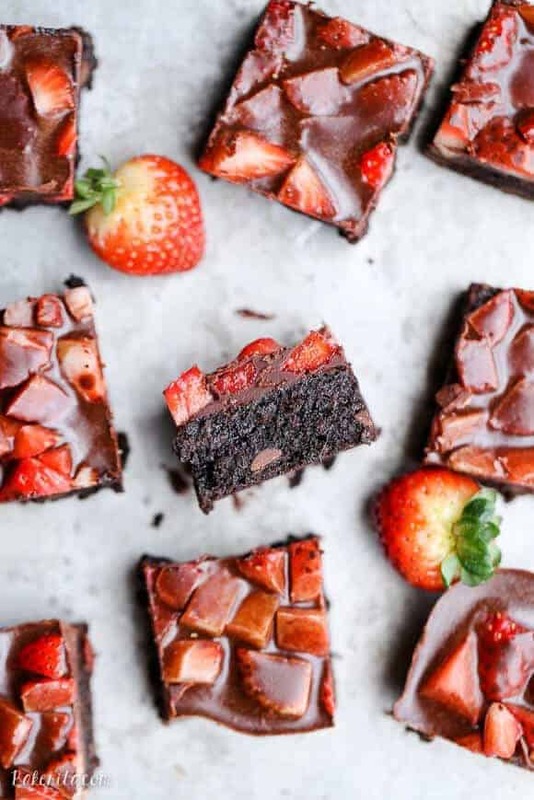 Serve these rich, fudgy brownies with strawberries to add a little more juiciness to your dessert. This paleo recipe will soon become your favorite chocolate craving fix and your family will love them too. Pumpkin is a fall favorite and absolutely delicious when paired with chocolate. But don’t limit yourself to just fall, these tasty treats are perfect any time of the year. Plus pumpkin is an excellent source of fiber and loaded with mono-unsaturated fatty acids for good heart health. So give your heart a break, and fall in love with these paleo pumpkin swirl brownies that leave your taste buds begging for more. 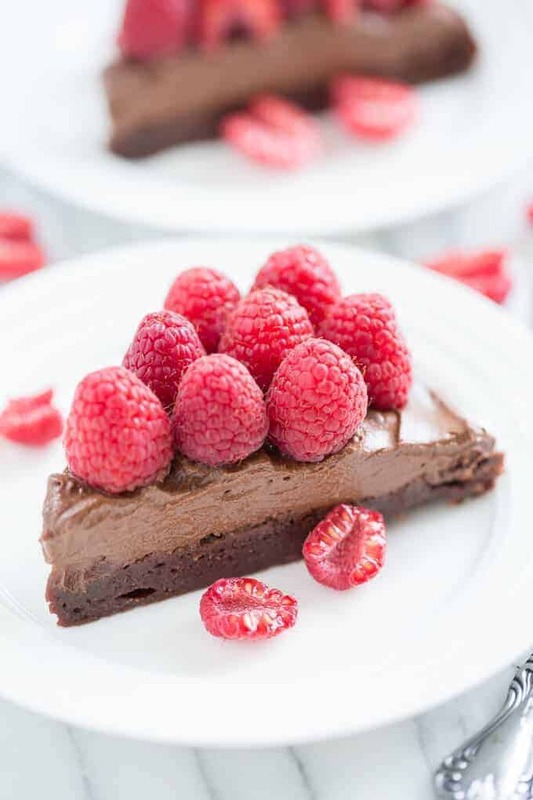 Having trouble deciding whether you want a brownie, mousse, or pie for dessert? No need to worry; this delicious creamy brownie-pie is just what you’re cravings are looking for. Enjoy the dense, fudgy taste of brownies combined with the rich, fluffy flavor of mousse. Be sure to top it off with a sweet and tangy raspberry or strawberry sauce for a decadent date night dessert your partner will love. Chocolate and peppermint is to winter what chocolate and pumpkin is to fall. But as mentioned above, don’t limit yourself to just one season. This dessert is also a brownie mousse and just as decadent, if not more. 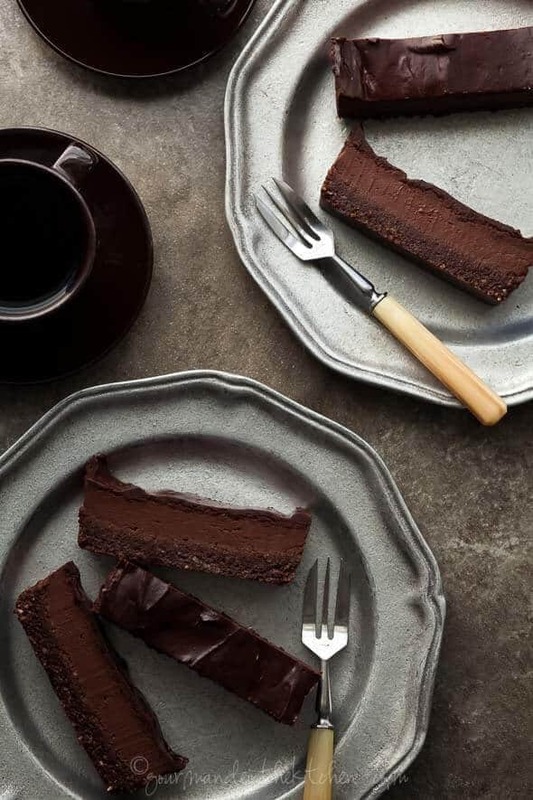 Here you get three delicious layers of chocolate; a no-bake fudge paleo brownie at the bottom, a silky chocolate peppermint mousse in the middle, and a shiny layer of ganache on top. Enjoy this vegan, gluten-free and grain-free dessert with all of the flavor and none of the guilt. The image of these rich, fruity brownies alone will get your mouth watering. Just wait till you taste them! Another great date-night top-off, you’re significant other or crush will love these and keep coming back for more, assuming you’re able to share any. These beauties taste as good as they look. Just be sure to hold off on digging in until they’ve had plenty of time to cool off so they can firm up for a more fudgy taste. The wait will be worth it! 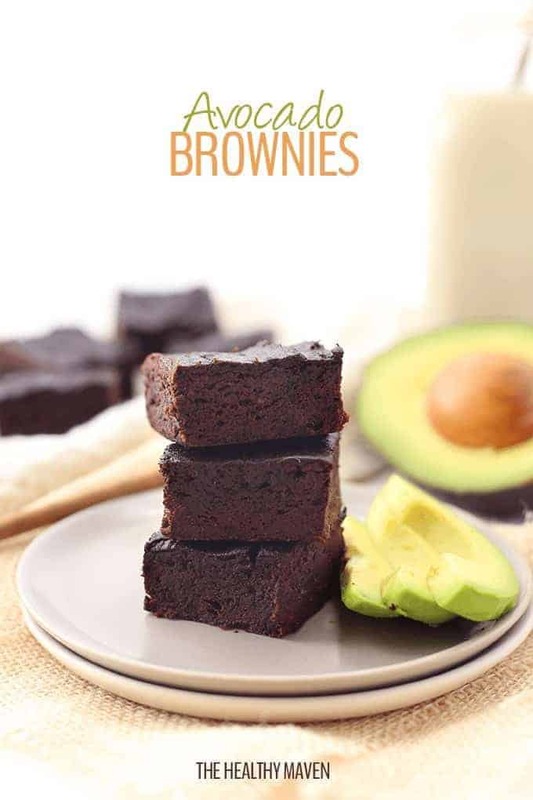 Here we have another brownie recipe that uses avocado. You won’t have to feel any remorse while binging on these tasty morsels. Enjoy a 2nd helping and tell anyone judging that you’re getting in all your fiber and Vitamins. 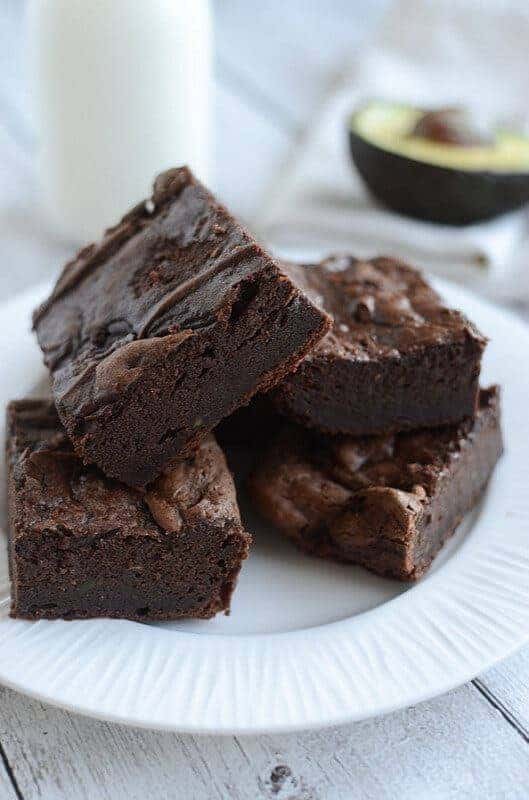 Plus the coconut flour used can aid in metabolism and maintaining blood sugar levels, so devour those brownies with your head held high and taste buds humming. 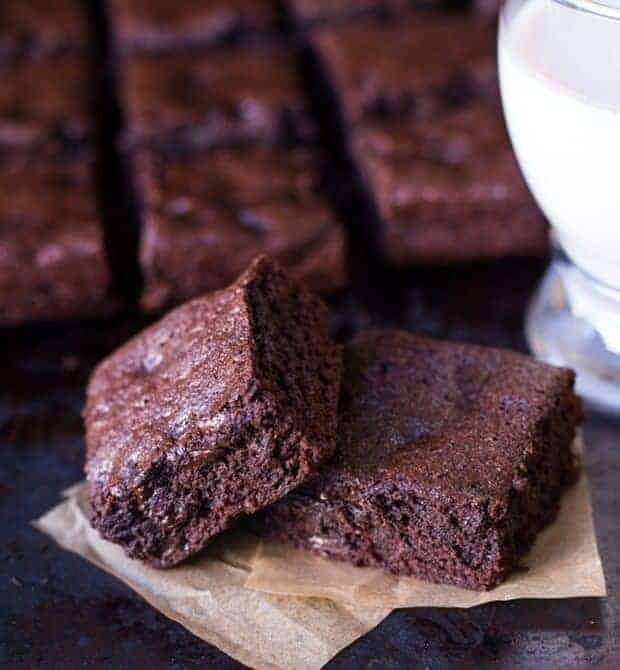 If you love the taste of rich dark chocolate, these delicious and impossibly healthy vegan brownies with a creamy optional frosting are for you. You’ll love the rich, dense, and not at all cake-like taste. Just pure, unadulterated fudgy goodness! 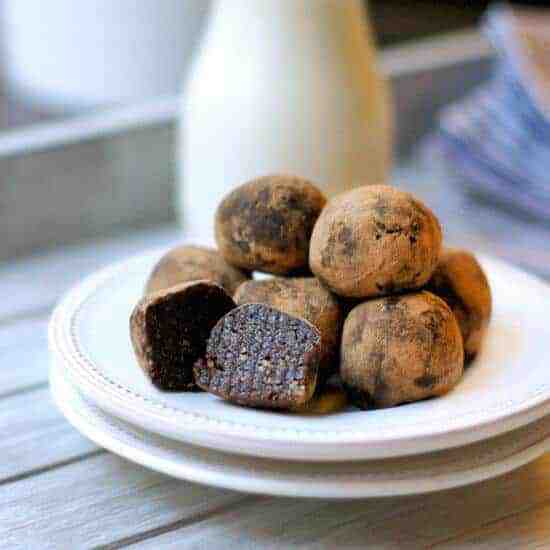 This paleo recipe is made with homemade oat flour (which is simply ground up oats) and sweetened with coconut sugar and vanilla Greek yogurt for a guilt free sweet tooth indulgence. Try these tasty treats warm or cold, you’ll be satisfied either way. Any health conscious person knows that the fewer ingredients there are, the healthier it’s going to be. So feel free to indulge in this 4 ingredient paleo brownie recipe that doesn’t skimp on the taste. 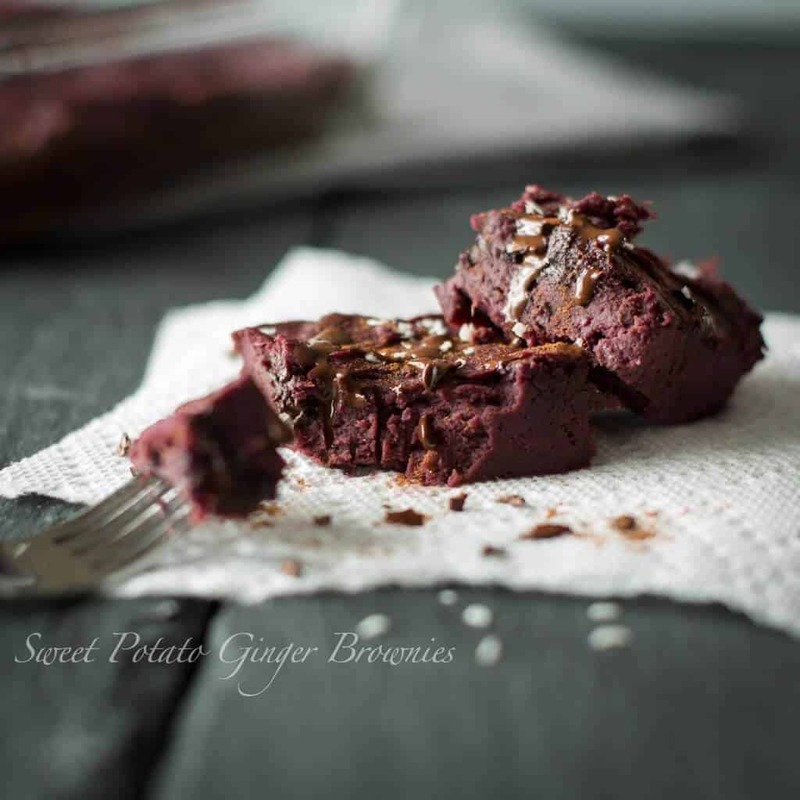 Overripe bananas, creamy peanut butter or almond butter, cocoa powder, and protein powder is all you need for this vegan, flourless dessert with a punch of protein to help build those muscles and shed off the guilt. Here’s a rich and decadent pumpkin chocolate paleo brownie that’s quick and easy to make. This is sure to become one of your favorite dessert recipes, and one you’ll have a hard time sharing with anyone else. Do try to, though. Made with real, all natural, paleo foods and sweetened with maple syrup and coconut sugar, something this good and healthy deserves to be spread around and loved by all. Sometimes you just have to have some warm gooey chocolate, and a regular brownie just won’t be enough to satisfy. 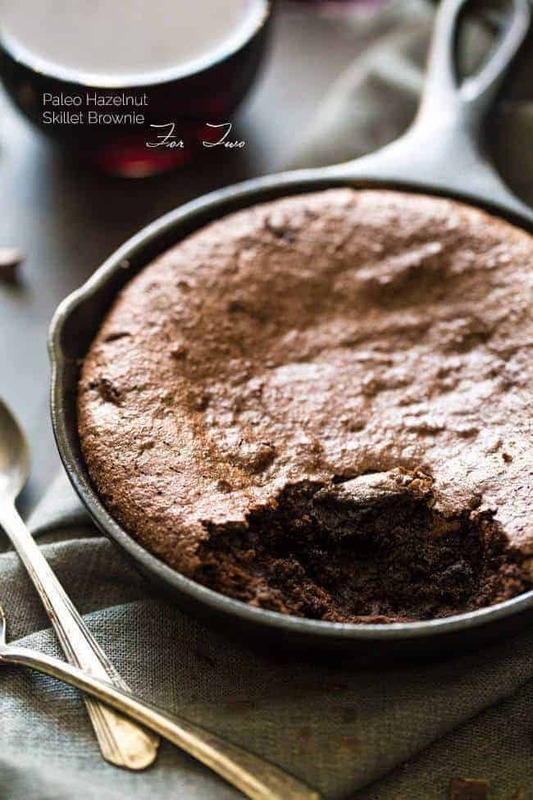 Well, this gooey, chocolaty dessert with a hint of coffee will surely satisfy those taste buds. Made without any grains, dairy, or eggs, and naturally sweetened with maple syrup and bananas, you can cater to that sweet tooth without breaking your paleo diet. Top this treat off with some coconut ice cream and dig in. Avocados are the best! With their subtle flavor and creamy texture they can be used in almost anything, especially desserts. They are technically a fruit, after all. Plus they’re an excellent oil and butter alternative, as well as a superfood packed with fiber and antioxidants. So knock off a little fat without sacrificing the good monounsaturated fatty acids, with this delicious paleo chocolate brownie recipe. Enjoy those healthy fats without anyone ever knowing they’re even there. If you want a truly decadent brownie, add fruit and double the chocolate. With a sprinkle of coconut, you’re in for a real treat. And you can feel good about these rich, dense brownies. The strawberries provide an excellent source of antioxidants and nutrition without adding tons carb and calorie heavy sugar and flour. So go ahead and enjoy this clean and natural gluten-free, grain-free, dairy-free, and soy-free paleo dessert your body will love. 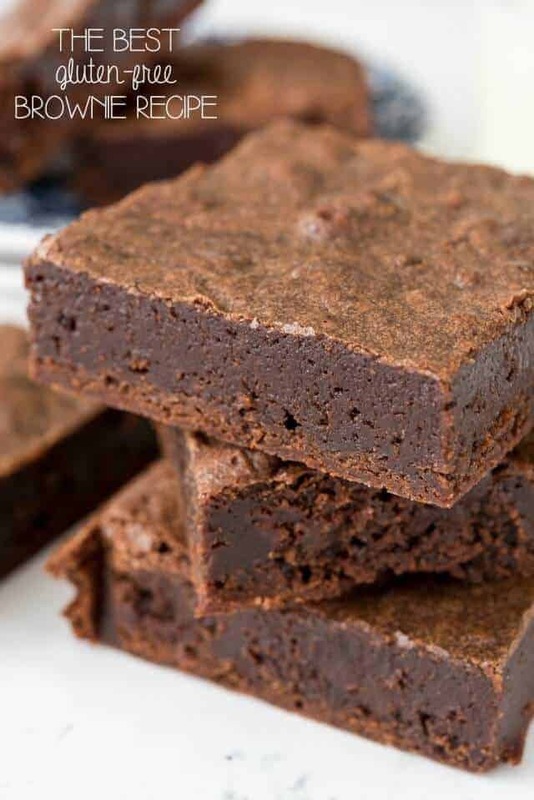 Here’s another superfood brownie recipe. Quinoa is a popular ‘grain’ amongst healthy conscious people, and for good reason. Quinoa contains two plant antioxidants knows as flavonoids which has shown to have anti-inflammatory, anti-viral, anti-cancer, and anti-depressant effects. So if you’re feeling down and in the mood to binge on chocolate, whip up a batch of these quinoa brownies. There easy to make and don’t require a lot of dishes that you’ll have clean later. For an even better taste, make them a day in advance. They taste even better after storing for a day or two. If you’re a true chocolate lover, you’ll want to give these paleo brownies a try. Don’t expect much of a cake taste here, these are called the ultimate fudge brownie for a reason. They are fudgen fantastic! Your taste buds will be swimming in creamy, decadent chocolate. And if you want to make them truly refined sugar-free, try the recipe attached for paleo chocolate chunks. Enjoy these after dinner and expect to be dreaming about them all night. Zucchinis are delicious and, like avocados, very versatile. You’d be surprised to learn this vegetable works very well in desserts. But if you’re worried about a zucchini tasting brownie, don’t be. You can get all of the nutrition zucchinis offer, like manganese and vitamin C, without tasting zucchini in your chocolate. Zucchini’s also aide in weight loss and can prevent cancer. 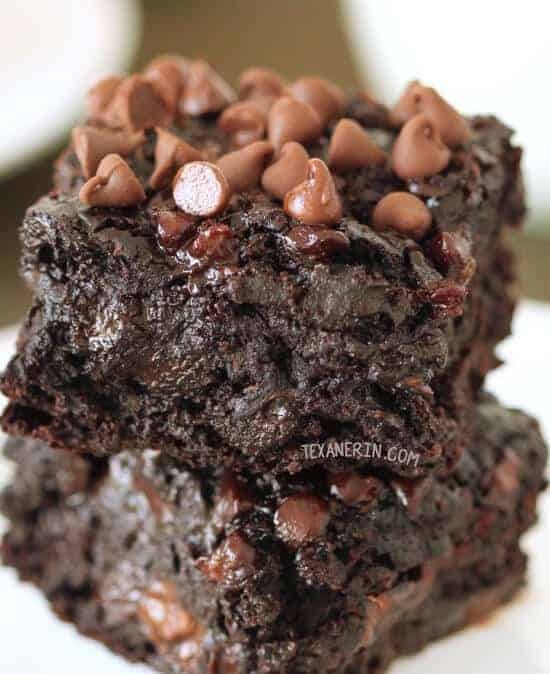 So here’s another brownie you can enjoy with your head held high and your taste buds singing. The best healthy desserts are the ones that keep their health well hidden. So enjoy this gluten-free paleo brownie that no one will ever know was gluten-free. If you have a friend or family member who can’t or won’t have gluten, make these little decadent treasures without anyone else being the wiser. These brownies are thick and fudgy and tastes just like your favorite traditional brownies. These are so good it’s nearly impossible to stick to one serving. Who doesn’t love a little crunch to their chew? 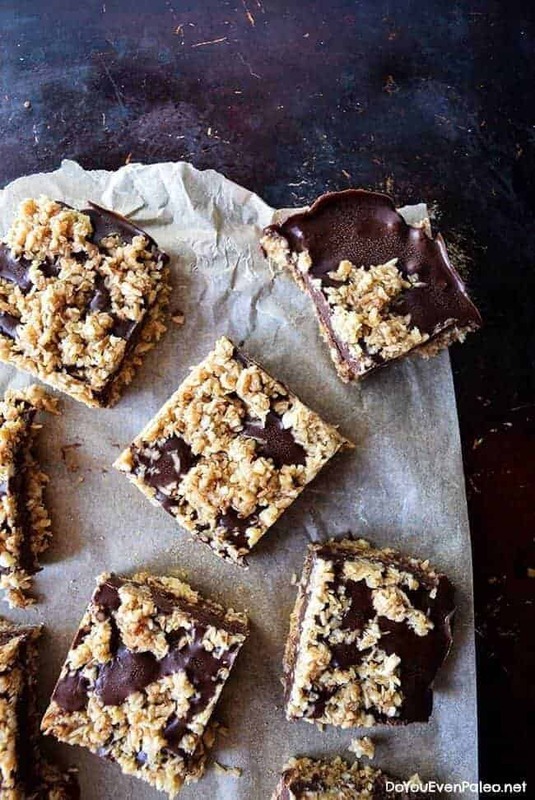 These fudge bars are wrapped in coconut shreds, walnuts, and cashews for a nice tasty blend of sweet and salty. 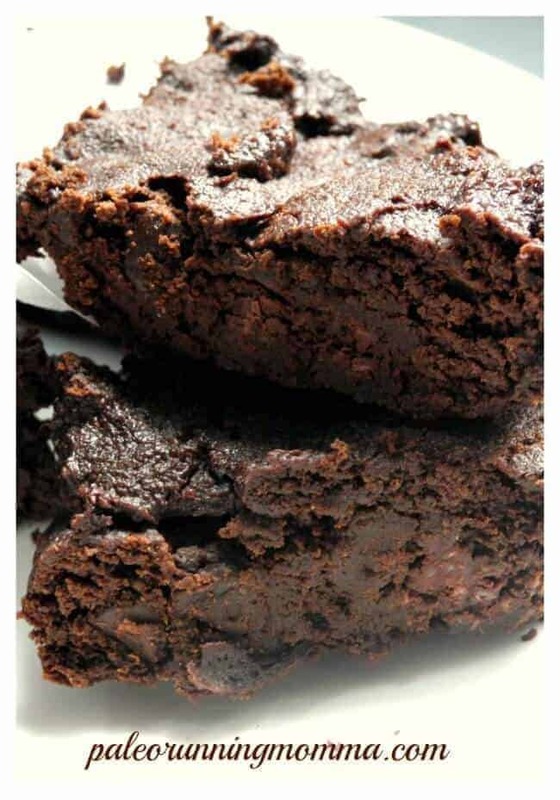 Enjoy this delectable paleo brownie recipe after a cool down in the fridge or the next day right out of the freezer for a nice summer craving kicker. Be the life of any summer BBQ or potluck. Everyone will be begging for more and bugging you to know how you made them. Brownies or cookies? Stop debating, it’s no longer necessary. 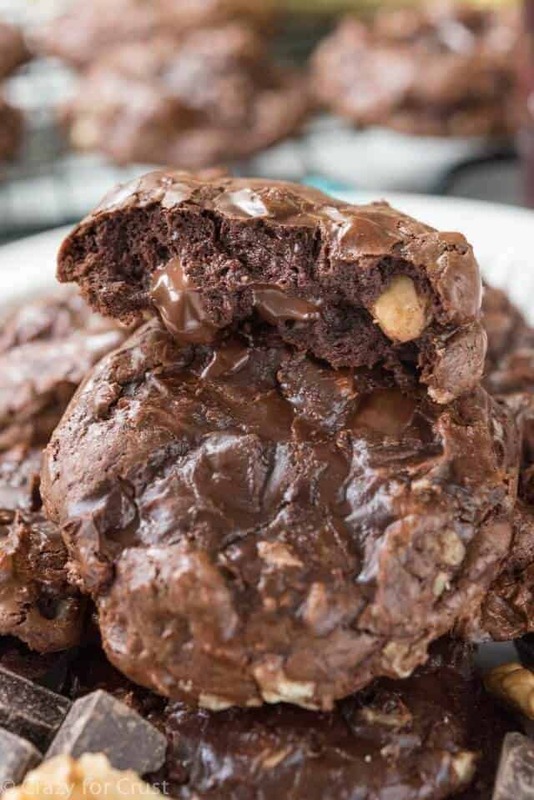 Get the crunchiness and chewiness of a cookie with the rich and fudgy goo of a brownie in this delicious hybrid dessert that’s sure to be a hit. There is no flour of any kind in this recipe and only uses egg whites to save you on a few calories and cholesterol. You might want to stash a few of these in a secret hiding place, they won’t last long anywhere chocolate lovers are around. Give me some chocolate, and make it a double! These brownies are for the serious chocolate addicts. But no need for any Chocoholics Anonymous meetings here, this paleo brownie recipe is refined sugar-free, flour free, and, by proxy, gluten-free. So go ahead and enjoy another. 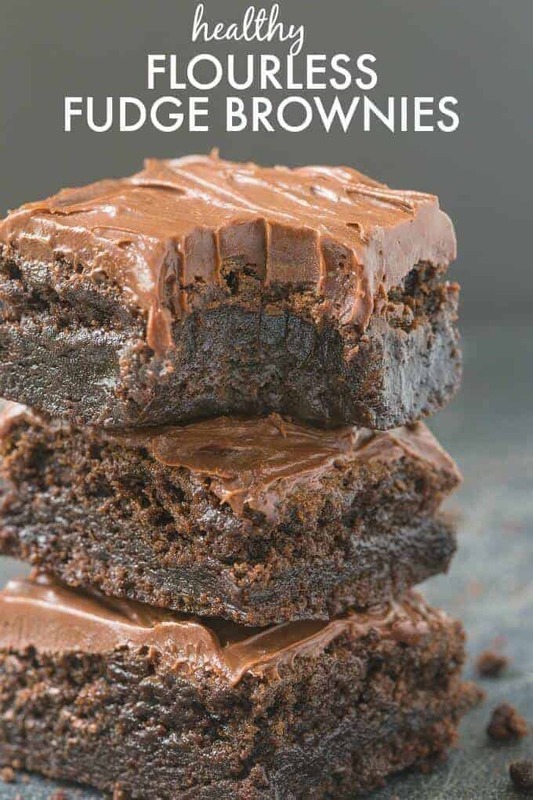 You won’t be able to stop yourself after one bite of these delicious, melt-in-your- mouth brownies. Before you know it, the pan will be gone and you’ll wonder if you really do need a CA meeting. How to make chocolate even better? Drench it in caramel. These treats are rich and decadent and your whole family will love them. 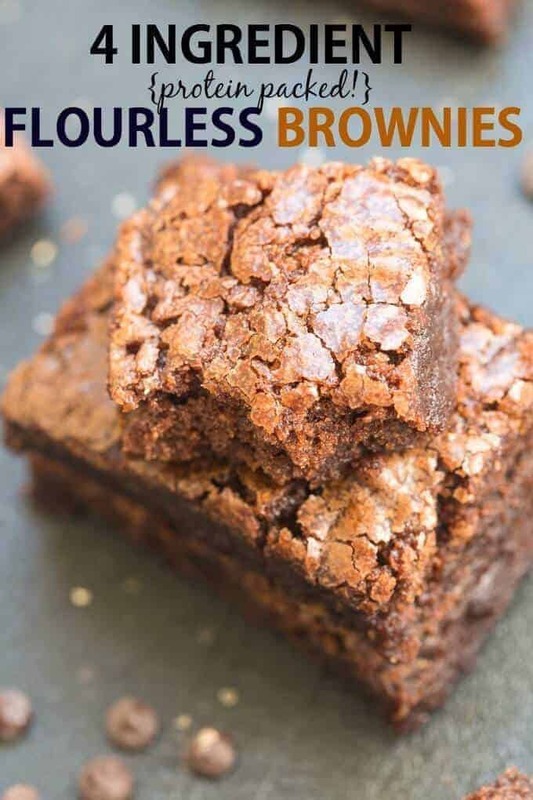 While these brownies look like something you’ll regret devouring later, they’re actually flourless, gluten-free, dairy-free, and have no refined sugars, so don’t be afraid to lick the remaining frosting off your fingers, your mixing spoon, the bowl you mixed it in, and any that may have dripped on the counter. Why have a single chocolate when you can have double? Well, why have double when you can have triple? 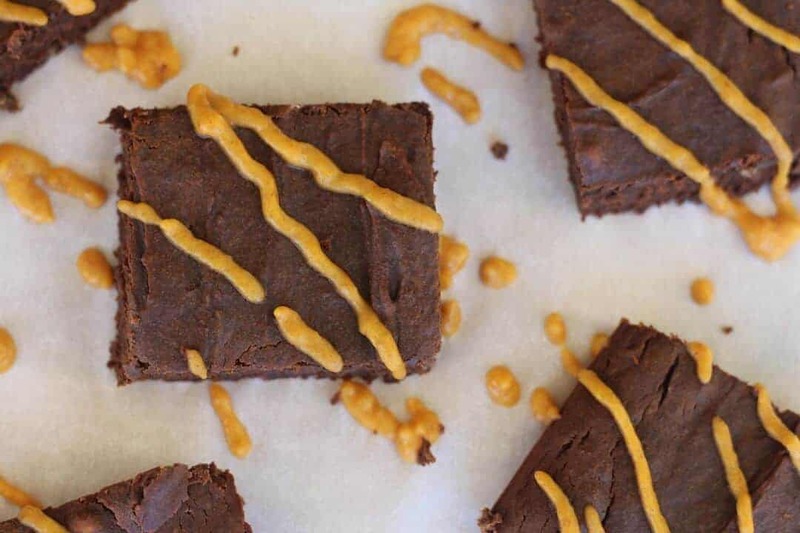 Add some nutritious pumpkin puree and all natural ingredients and you have your new favorite rich and gooey paleo brownie recipe. 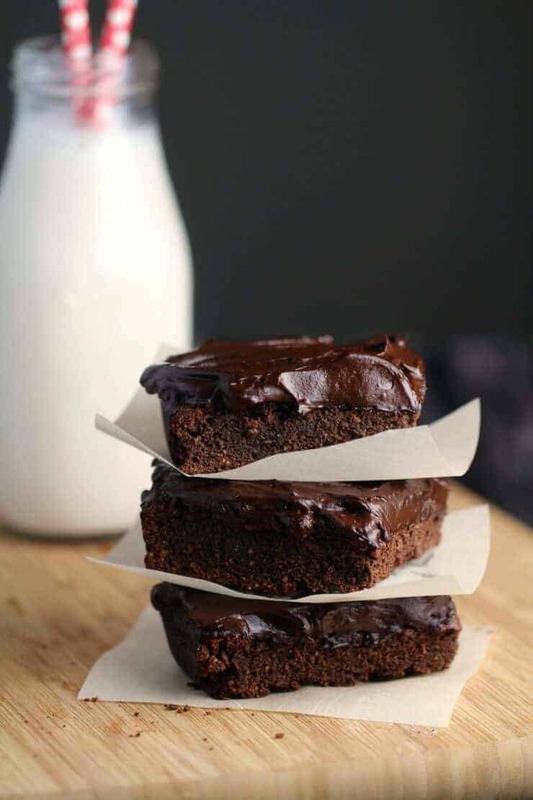 These dairy-free brownies are easy to make and healthy for you to enjoy again and again. So feel free to double up on the triple chocolate and satisfy any and all chocolate cravings. Here’s another brownie-cookie hybrid. A “brookie,” if you will. These crunchy on the outside, chewy on the inside treats are perfect to satisfy that chocolate craving. 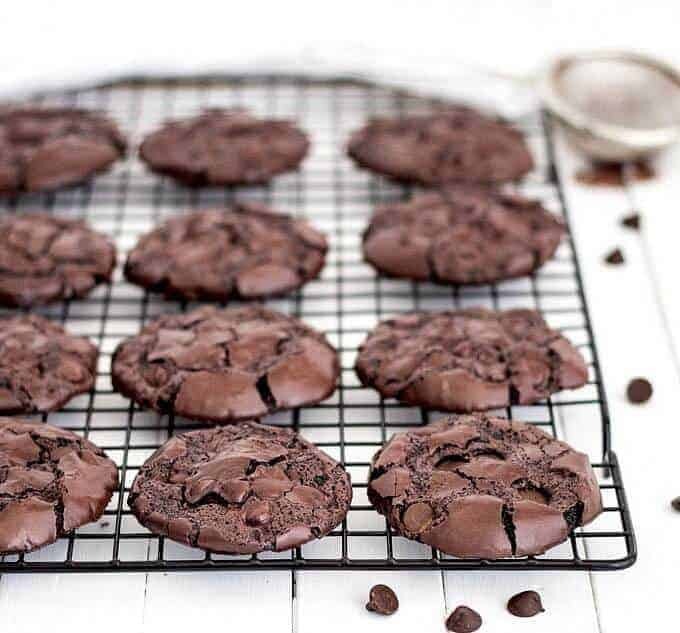 These beauties are made with ghee or coconut oil, instant espresso powder, and mineral-rich cacao powder. Feel free to make multiple batches and store them in the freezer. They taste amazing frozen, which also makes them perfect for summer, assuming you can wait long enough to let them freeze. If you don’t immediately scarf them down, your friends and family certainly will. Sometimes you just need peanut butter. Sometimes that peanut butter needs to be paired with chocolate. They are a match made in heaven—thank you H.B. Reese! These rich and chewy flourless brownies are no exception to this delicious marriage of flavors. Plus you get the benefits that peanut butter has to offer, like protein, fiber, magnesium, and antioxidants. So set aside any guilt you might feel for indulging in this delectable chewy treat. Brownies just aren’t the same if they don’t have that flakey top. These gluten-free, vegan brownies not only look incredible, they taste incredible too. 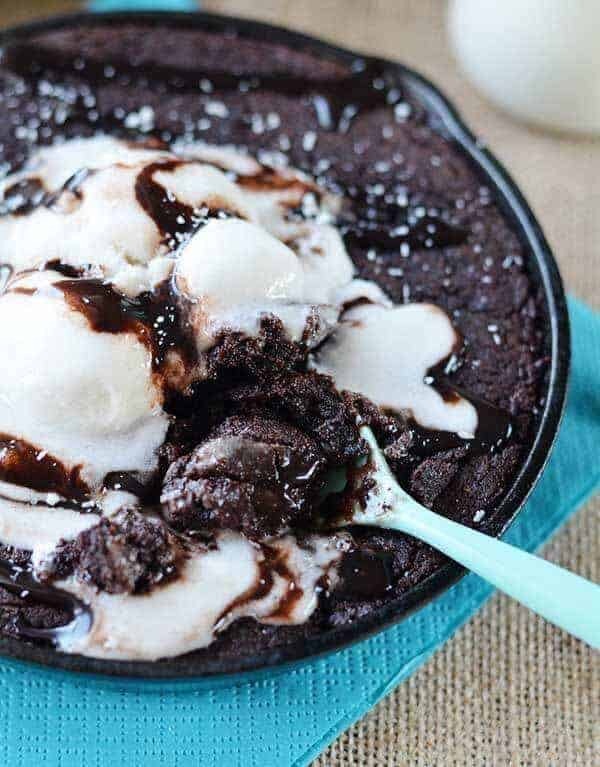 These gooey delights are so fudgy, they’re almost too fudgy. Almost. 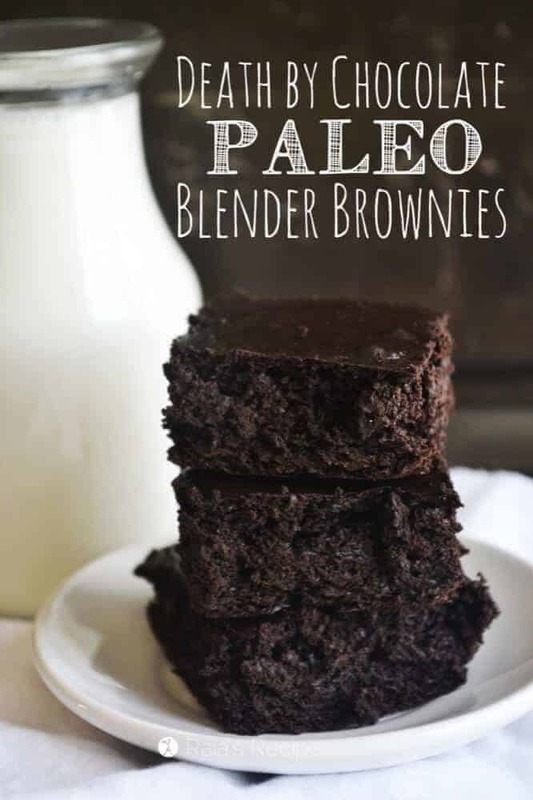 And you’re getting that lack of gluten, dairy, and eggs without any odd ingredients like the beans or chickpeas you might find in other Paleo brownie recipes. Enjoy these brownies with your friends and family, and if they can’t handle the fudge, well, more for you then. 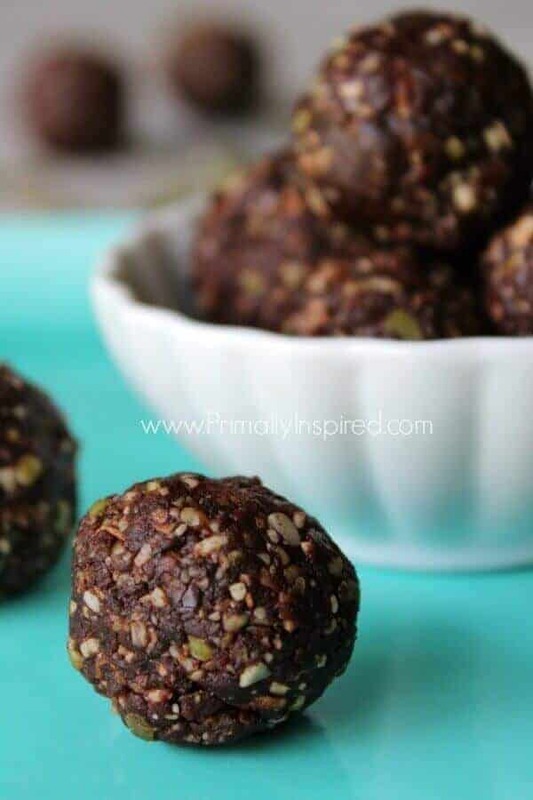 These little bite size brownie balls are delicious and super easy to make. No need to break a sweat this summer by turning on that hot oven. 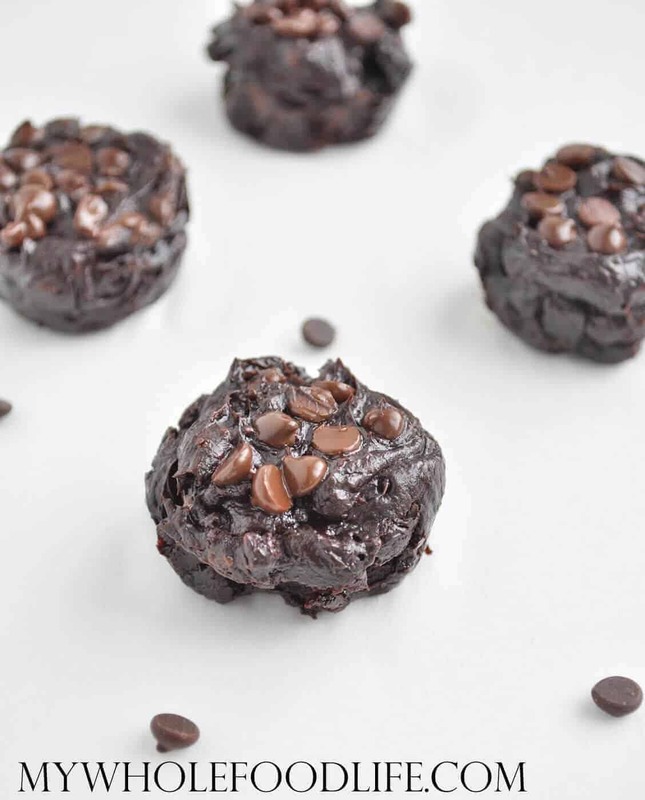 This recipe requires no baking and only 5 ingredients, all of which are raw, vegan, and paleo. Plus there’s no added sugar or flour, but plenty of protein, fiber, and healthy fats. And while you’ll probably want another, one of these bites are enough to satisfy your sweet tooth. 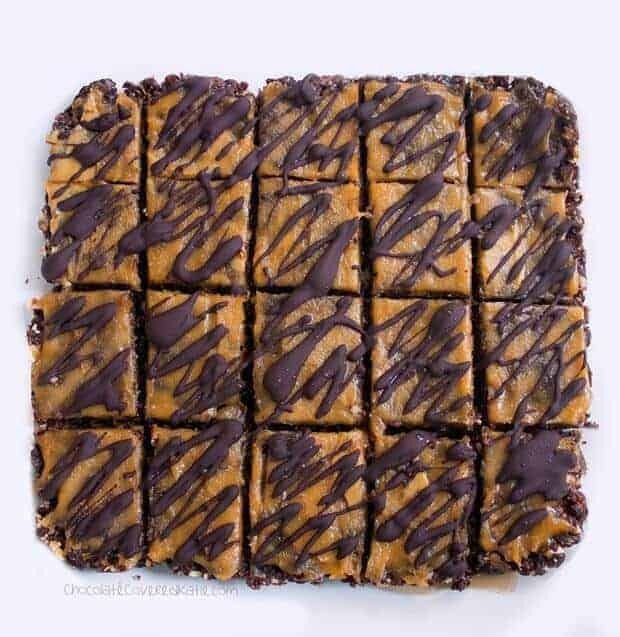 Here we have another raw vegan brownie bite with only 6 ingredients. Aside from the perks of having no eggs, dairy, or gluten, this recipe also contains walnuts which have vascular benefits for people with heart disease, are full of antioxidants, help aide weight loss, and help reduce cholesterol. Since these contain no added sugar or high calorie oils or butter, these are fine to indulge on without falling off the diet wagon. With summer fast approaching, the thought of turning on that hot oven is not very appealing. Good thing this vegan paleo brownie recipe doesn’t require one. Plus they don’t require refrigeration, so you can take them along on a picnic, BBQ, or road trip without worrying about keeping them fresh. They also freeze well so you can make extra to enjoy later. Aside from a lack of sugar and gluten, these delectable delights also have zero cholesterol, low sodium, and are high in dietary fiber and vitamin B6. Here we have the ultimate healthy brownie. This recipe only requires 3 ingredients, none of which contain dairy, eggs, gluten, or high calorie oils; just overripe bananas, smooth almond butter, and dark cocoa powder. Even that rich, protein-packed frosting is good for you, should you decide to add it. These brownies are also a good source of fiber, have zero cholesterol, and no added sugar. Just pure, all natural flavor you can feel good about. 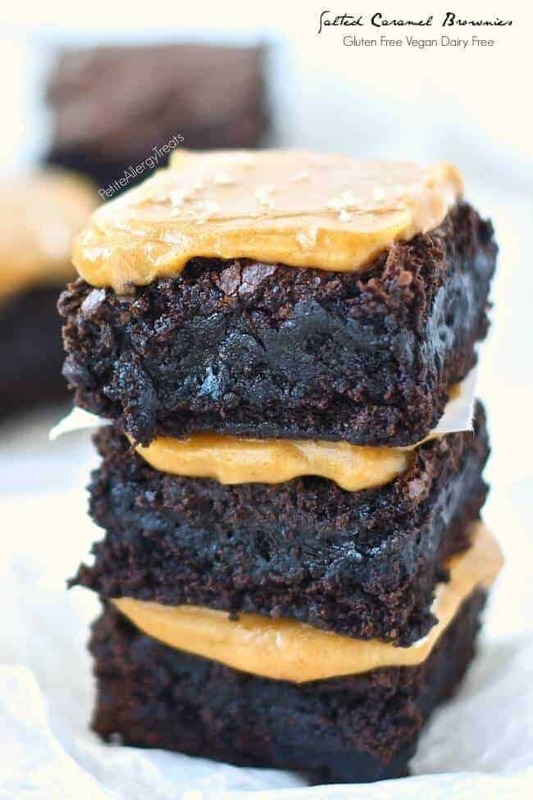 This recipe may look a little familiar, they’re those delicious looking super fudgy gluten free, egg-free brownies mentioned above, but are added with the sweet and salty taste of this vegan and paleo salted caramel frosting. No need to dirty up a pan for this caramel. Simply combine the ingredients in a blender until you get that creamy smooth texture. The extra decadence is still sugar free, so you can slather on that ooey gooey caramel without feeling any remorse. 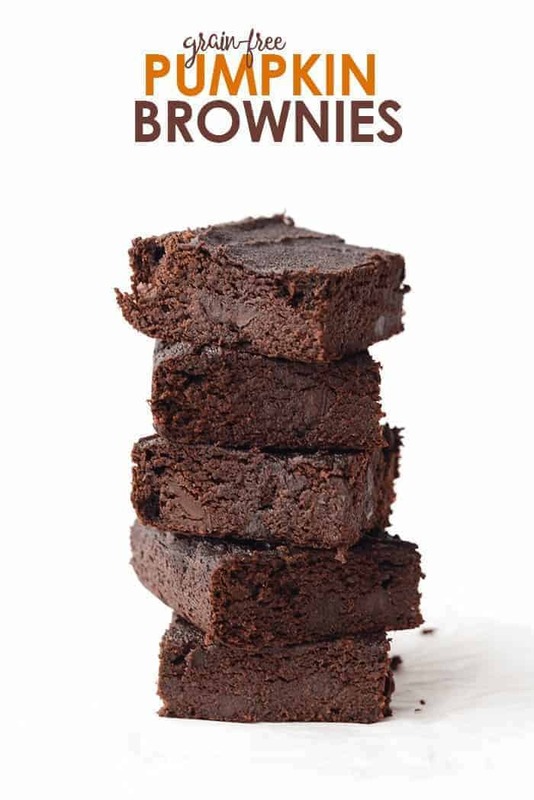 How about another simple bite size brownie with only 4 ingredients—5 if you include the espresso extract? 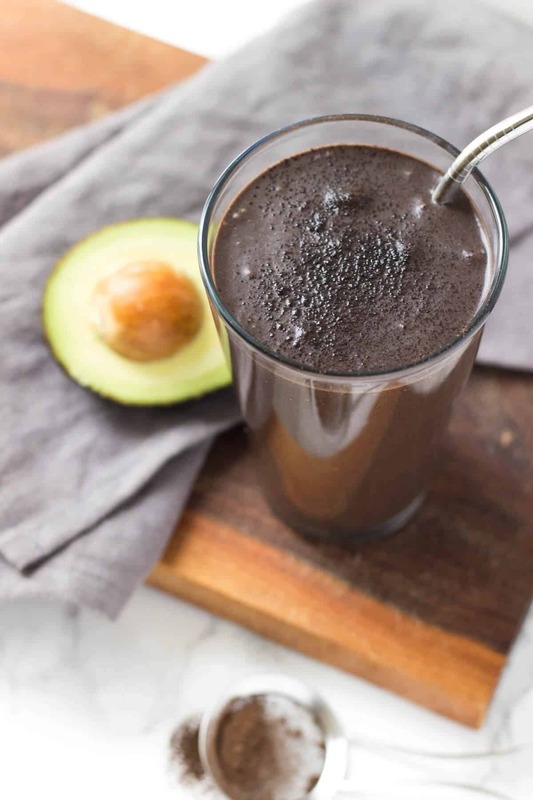 This recipe uses avocado for those healthy monounsaturated fatty acids, fiber, and antioxidants, as well as the added benefit of a reduction in bad cholesterol and an increase in good cholesterol. This gooey, rich, and decadent snack sweetened only with maple syrup will have you licking you fingers clean as you debate sneaking another bite. By now you have probably heard of matcha green tea, at least in passing. 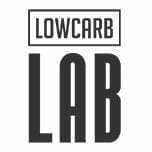 It has become incredibly popular among health enthusiasts. This super-tea is high in antioxidants and cancer-fighting Catechin. It is also known to help you relax and stay calm, increases memory and concentration, boosts energy, increase metabolism, detox the body, and improve cholesterol. Plus it’s such a pretty color and works in many different kinds of recipes. 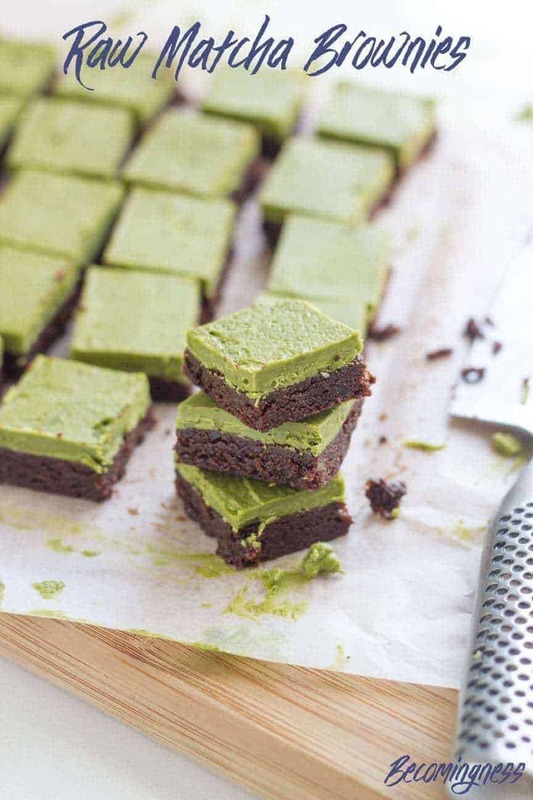 This raw matcha recipe is very good for you and requires no baking. Feed that sugar craving with the Best Ever Fudge Brownies. These moist chocolate squares are the type of healthy treats that hide it’s healthiness in plain sight. Plus they’re made with all natural ingredients, like coconut sugar, cocoa powder, and whole wheat flour, so you can feel good about indulging. Just one of these delicious treats will mollify that sweet tooth and keep you satisfied without any of those refined sugars or fake fillers. Why are brownie-cookies so great? Aside from having both that cookie crunch and moist brownie texture, there’s no cake pan to soak and scrub later. Make your brownies cookie style and clean-up is a breeze so you can get to that tasty treat faster, assuming you can wait to clean before you enjoy. 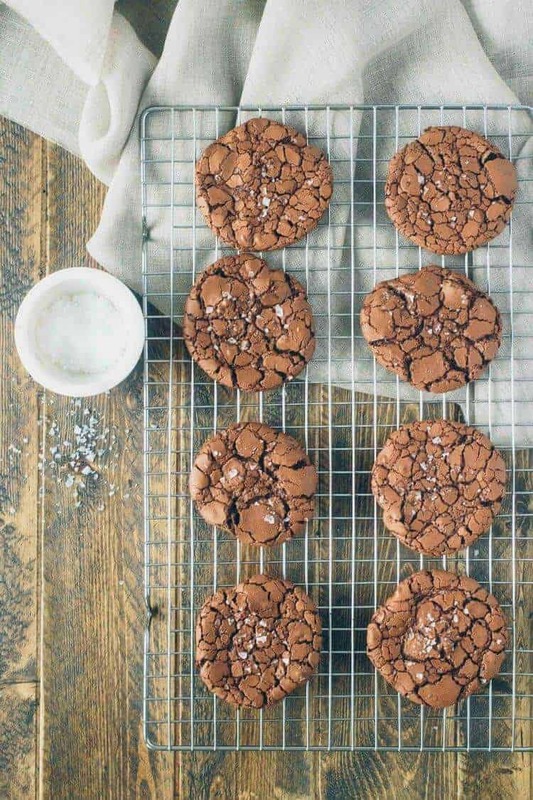 With these gluten-free brownie-cookies, it won’t be easy. Baking these is effortless, too. Simply throw all your ingredients in a bowl, roll little balls in powdered sugar, and flatten with a fork on a cookie sheet. Then bake, save the clean-up for later, and enjoy. 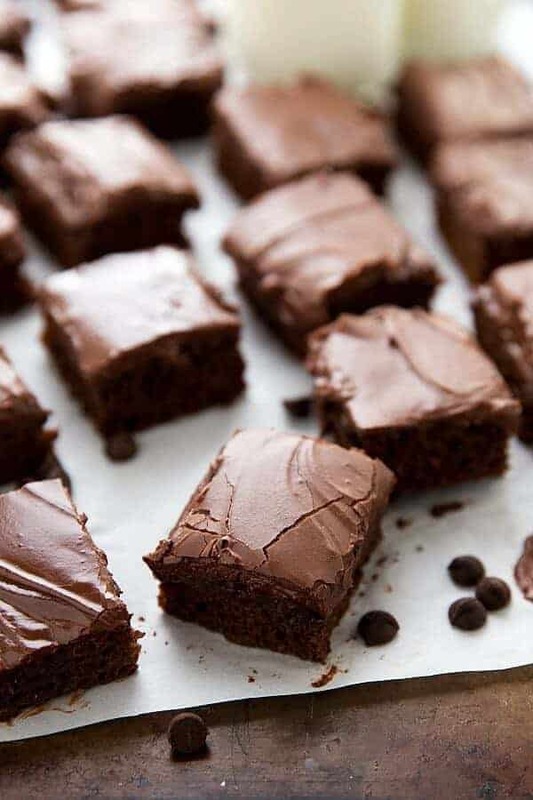 A thin crackly top is a must in any perfect brownie. 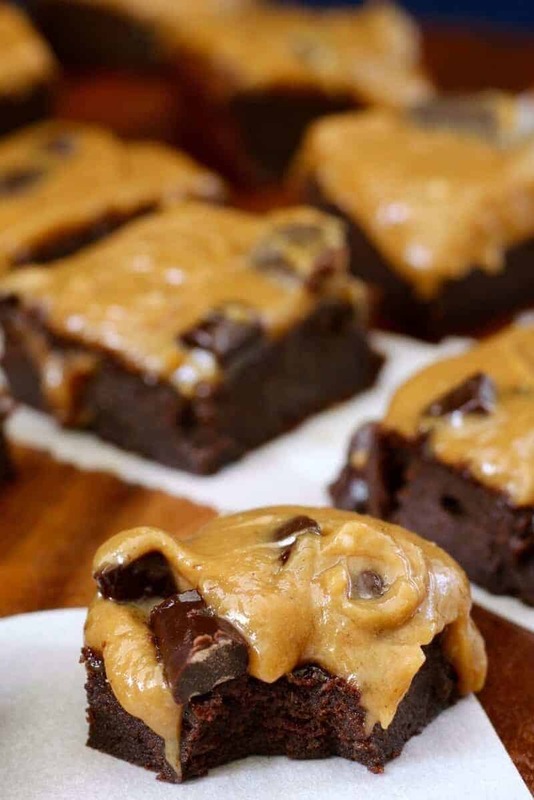 To successfully integrate that into a cookie-brownie hybrid will get your mouth watering before you even take the first bite! These chewy, yet crunchy cookies are loaded with chocolate chips, dried cranberries, and chopped hazelnuts for a truly decadent dessert. You can also scoop some ice cream in between two of these for the best ice cream sandwiches you’ve ever had. Dessert-in-a-jar is such a fun and convenient idea. If you can resist eating it right away, it makes storage and travel so easy. This paleo, vegan, gluten-free, and refined sugar-free brownie parfait is so decadent and delicious. 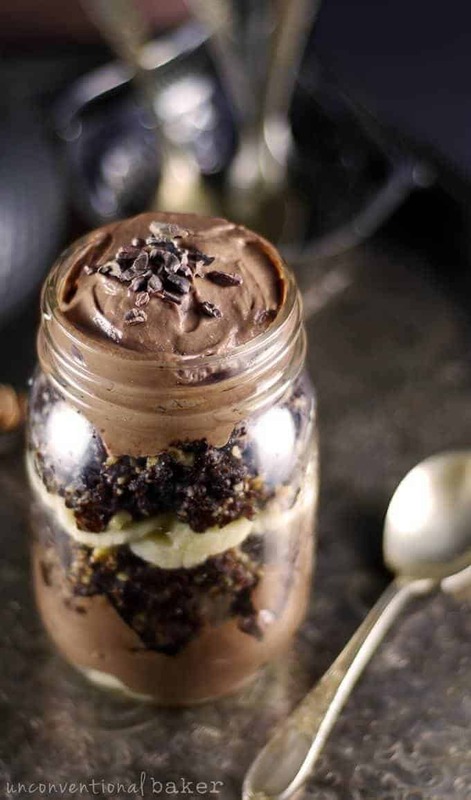 Layered with raw crumbled brownies, dairy-free pudding, and ripe bananas, you won’t be able to help but gobble down the entire Mason jar in minutes. But don’t feel too bad. This entire recipe is made with only all natural, healthy, nutrient-packed ingredients. Who doesn’t love a warm, gooey pecan pie? 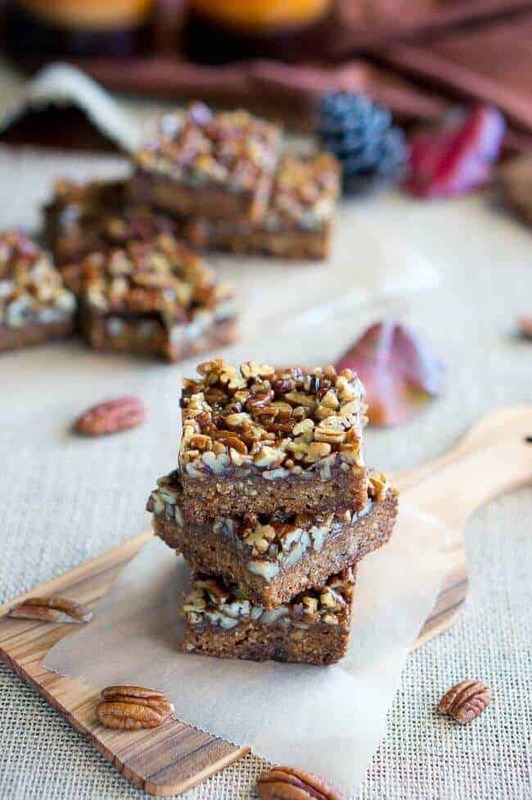 If you do, you’re going to be a huge fan of these paleo pecan pie bars. Made without any refined sugar or gluten and loaded with paleo foods to both satisfy that salty-sweet craving and keep you healthy. The pecans alone are packed with tons of vitamins and minerals that can help with cardiovascular and bone health, weight loss, strengthening the immune system, and can even help clear your complexion and stimulate hair growth. So feed that craving and feel good about it. Here’s a recipe you can really feel good about. 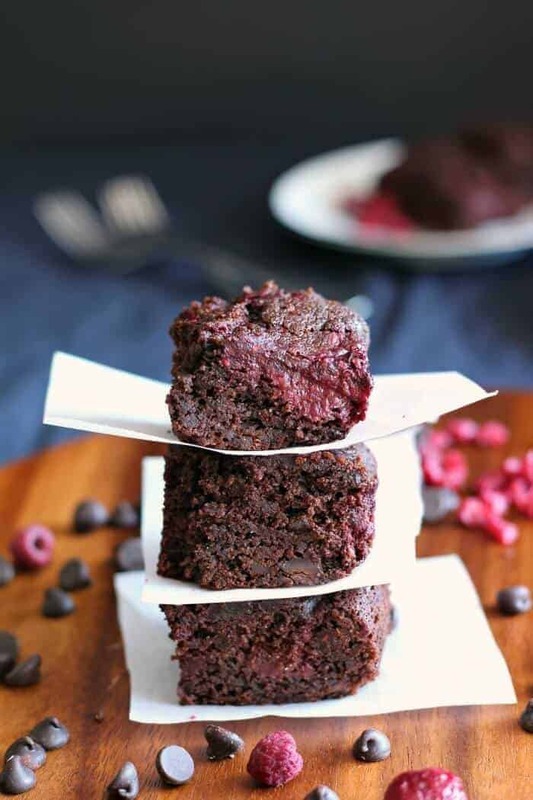 These brownies are paleo, vegan, sugar-free, gluten-free, and packed with nutritious ingredients, including chia seeds, which are loaded with antioxidants, protein, fiber, and other beneficial vitamins and minerals that can help with type 2 diabetes and bone health. These are only sweetened with applesauce and dates, so no added sugar! You can enjoy these 100% guilt-free chocolate brownies and brag about it later. You can never go wrong with hazelnut and chocolate. 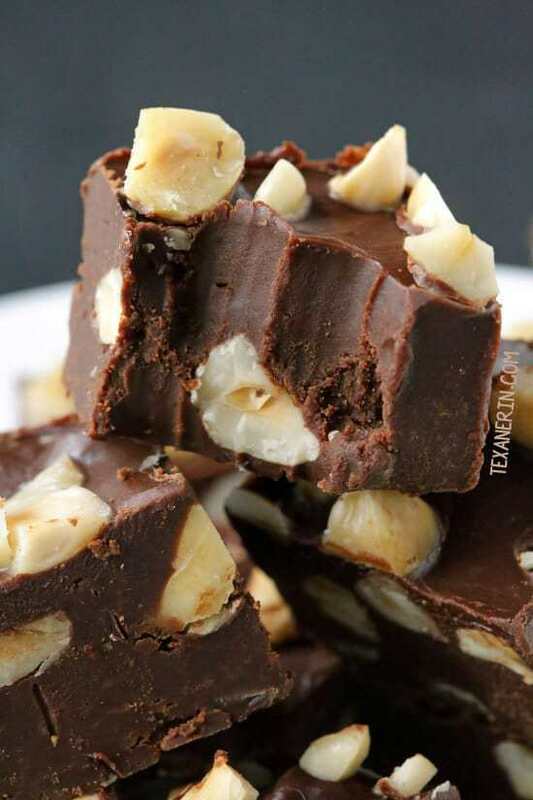 Enjoy these fudge treats without the sweetened condensed milk or marshmallow fluff you find in most fudge recipes. This is made with all natural ingredients and is vegan and paleo-friendly. Make some for your own indulgence, and send some more off with your friends and family as a holiday gift or just because nothing says “I love you” like a box of chocolate. 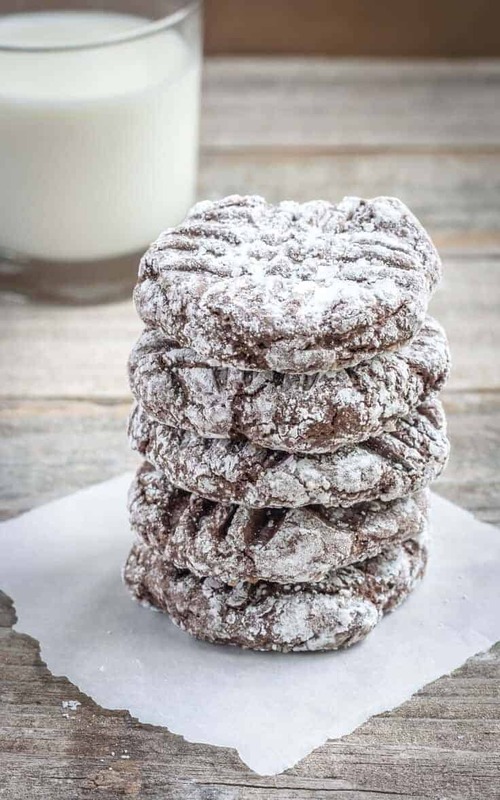 Much like the Loaded Chocolate Brownie Cookies, these cookie hybrids also have that wonderful crackly top that just makes them look so delicious. 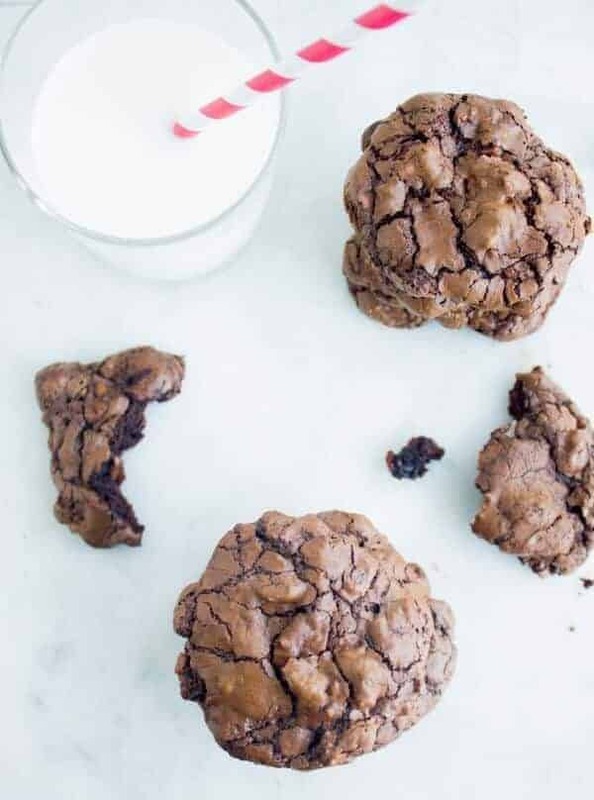 These paleo-friendly brownie cookies are rich and chewy with a bit of that favorite cookie crunch around the edges. You’ll have no trouble whipping these things up. Just mix the six ingredients together, spoon into a baking sheet, and try to wait patiently, it’ll be worth it. 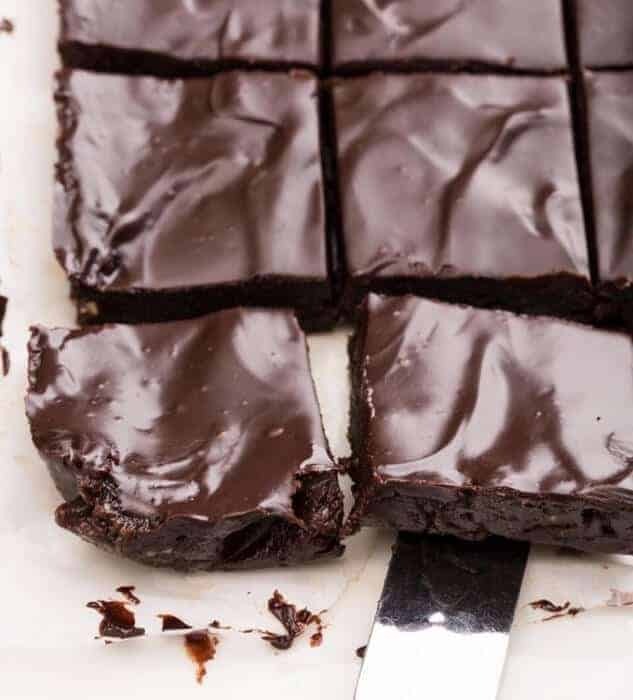 These paleo-friendly and vegan brownie bars are perfect for a quick get-up-and-go meal or post-workout protein boost. Made with natural gluten-free ingredients and sweetened with stevia, you can replenish that much needed energy, or simply satisfy a chocolate craving, without any regrets. No baking required, but patience is. Don’t fret; the wait will be worth it. You won’t want to be without this healthy brownie snack, so make plenty of them. Finally a brownie you can drink that also has a boost of protein perfect for that post-workout snack. This recipe is super quick to make. All you need is a blender and a cup. Aside from the protein powder, you’re also getting a bunch of nutrients from the banana and avocado. Completely vegan, paleo, and gluten free, you can enjoy this as a dessert or an on-the-go meal with a happy tummy and zero guilt. Put those chocolate cravings to bed without depriving your taste buds of the sweets they love so much or ruining your carefully planned diet. Just because you’re watching what you eat doesn’t mean you have to give up on dessert. With the right ingredients, dessert can be just as healthy and nutritious as breakfast, lunch, and dinner. 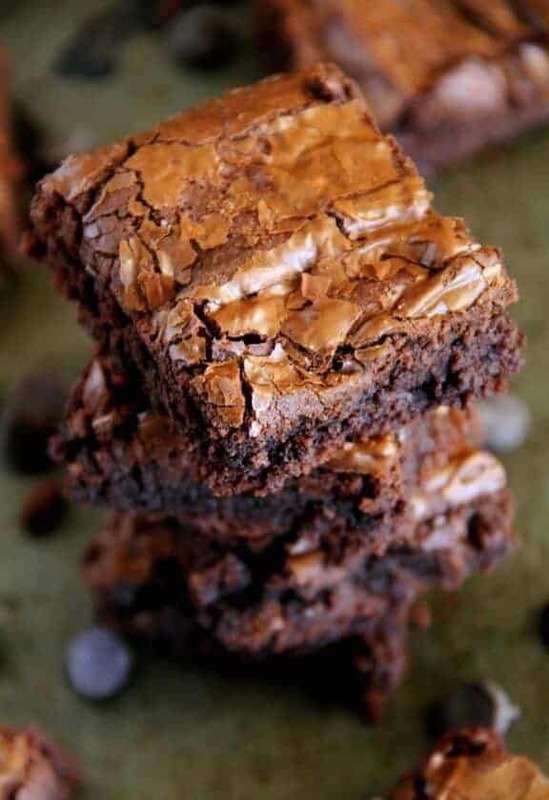 So avoid those convenient boxed brownie mixes with those mystery artificial ingredients that can cause behavior problems like ADHD, raise blood sugar levels, decrease natural energy, and make you feel just plain lousy. Stick with these easy to make, all natural, organic, gluten-free, and refined sugar-free paleo brownies that are sure to give you a healthy boost and good vibes. Your body will thank you.